Up until last year, I wasn't really that big of a coffee drinker. Sure, I had tried it before, but I just never seemed to really get what the big deal was. 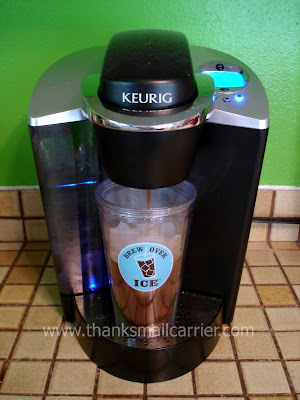 Then I reviewed a Keurig Special Edition Brewer and life was never the same again. The ease, the simplicity, the speed at which I could have a delicious cup of coffee to start my day... I almost don't remember life without it, that's how much I love my Keurig. However, with the heat of the summer upon us, I'll admit that a steaming hot cup of coffee doesn't always sound quite as appealing as it does as when the weather is cooler. Fortunately, Green Mountain has come up with the solution for the Keurig with Brew Over Ice K-Cup Portion Packs. 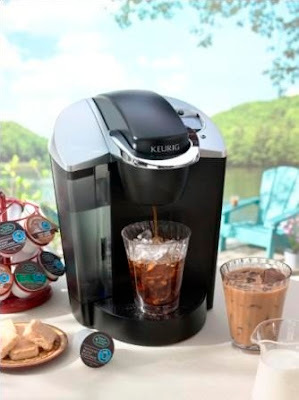 The concept of the Brew Over Ice K-Cups is so simple yet so smart - just fill a cup with ice and brew right over it instead of into a traditional coffee cup. The result? 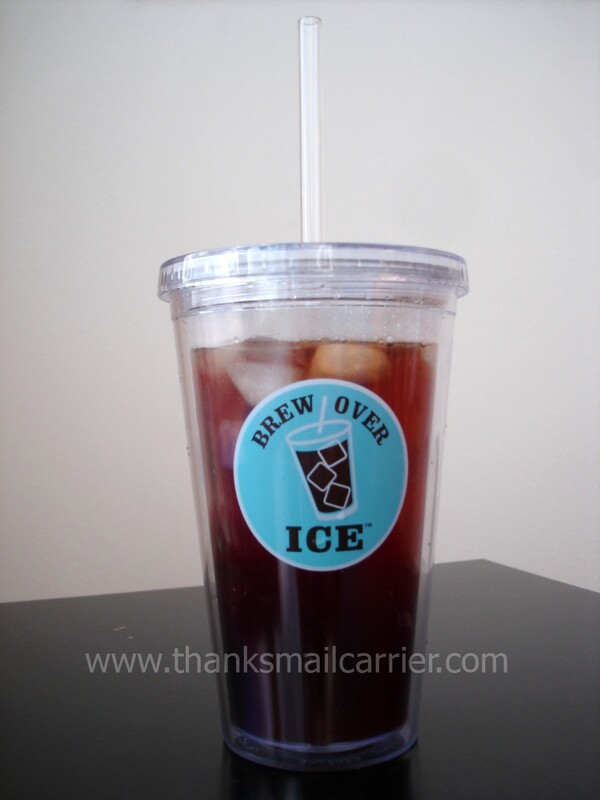 A delicious iced coffee or iced tea fresh from your kitchen without the wait, the hassle or the huge price tag! 1. Fill a 16-oz. 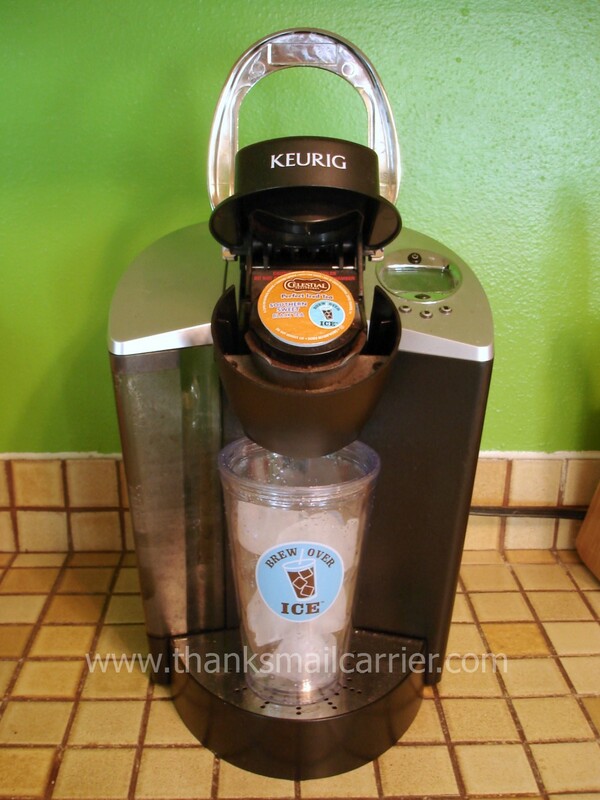 plastic cup with ice and place it under a Keurig Brewer. 2. Choose the 6-oz or 8-oz serving size depending on your strength preference and brew directly over the ice. 3. The ice does the rest – just stir and enjoy! Delicious! Brew Over Ice is currently available in two Green Mountain Coffee Iced Coffee flavors: Nantucket Blend Iced Coffee and French Vanilla Iced Coffee and you are able to add just the amount of cream and sugar for your tastes. I love having the rich and creamy flavor of coffee but with the cool, refreshing addition of ice. There are many varieties of Celestial Seasonings Perfect Iced Teas, which are already sweetened: Half and Half (Black Tea and Lemonade), Southern Sweet Tea, Sweet Berry Lime Green Tea, Sweet Lemon Black Tea, Sweet Peach Black Tea, Sweet Raspberry Black Tea, Sweet Tropical Breeze White Tea, and Unsweetened Black Tea. For iced tea fans, you are sure to find quite a few favorites! 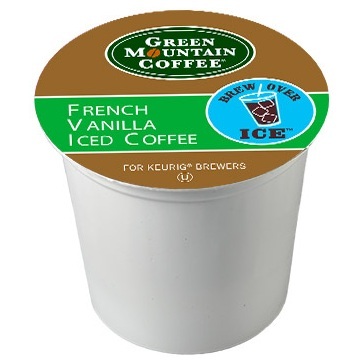 Brew Over Ice coffee and tea K-Cup portion packs are available in retail stores nationwide as well as online at Green Mountain Coffee and Keurig.com ($16.49 for a box of 22 iced coffees and $17.49 for a box of 22 iced teas on both sites). You'll also want to be sure to visit the Brew Over Ice Facebook page to not only find out more about these delicious drinks, but to enter their Alaskan Cruise giveaway (hurry, it ends August 31st)!